Going along with the theme of handmade Christmas gifts, here is a headband I made for a 10-year-old. 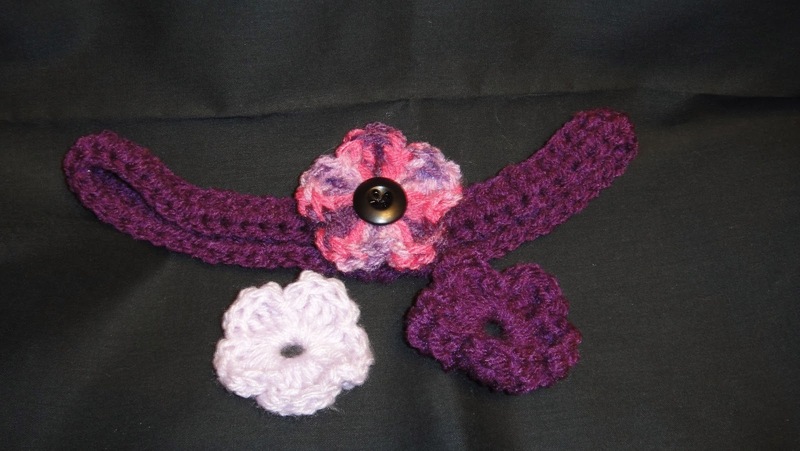 It has interchangeable flowers that slide over the buttons. The headband was made using a chain-less foundation technique. It is about 19" but stretches to about 22". The flowers were made using a simple free flower pattern from The Homemade Dress. The button is a spare shirt or pant button I had on hand.